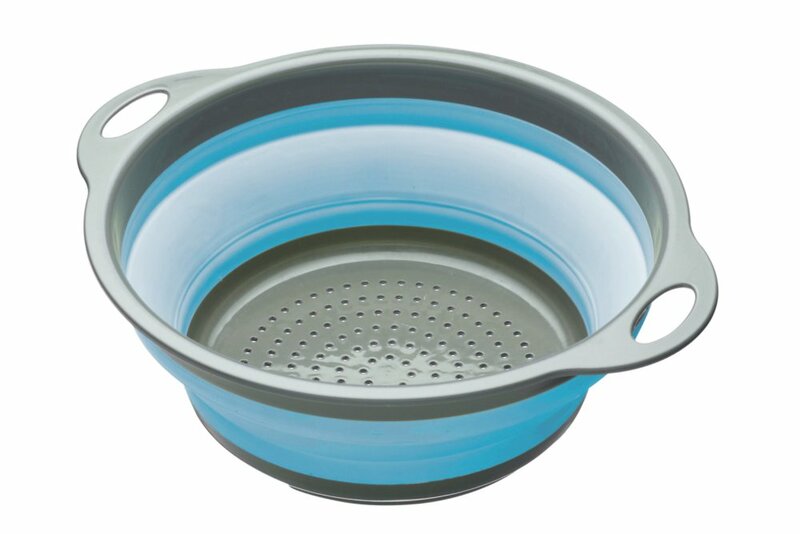 Blue silicone fold flat colander for washing fruit and vegetables. Great space saver for caravans and camper vans. Height folded = 3.5 cms, height open 9cms, diameter 24cms, diameter including handles 28cms.